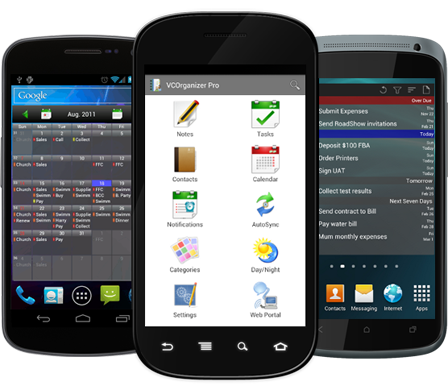 VCOrganizer for Android touch devices allows for secure storage of your important notes, tasks, contacts and events. VCOrganizer can sync your notes, tasks, calendar events, contacts and categories with MS Outlook client. It provides industry proven data encryption features to better protect the information on your device with your MS Outlook client.